This is a testimonial from a delighted client: Terry Runham, formerly a director of Circus Minds Limited. It follows a successful Members Voluntary Liquidation of his company, which was overseen by one of our Licensed Insolvency Practitioners, Tom Gardiner. 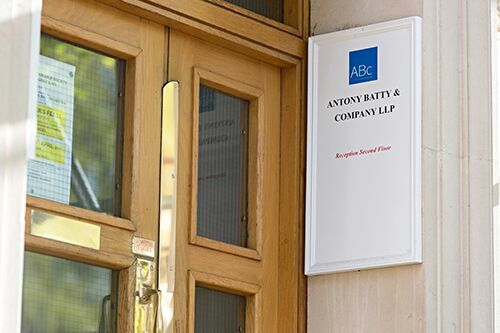 Tom heads up the Brentwood office of Antony Batty & Company. This Members Voluntary Liquidation was a process involving the speedy and tax efficient extraction of retained profit for our client, allowing all shareholders to seek entrepreneurs’ relief on the distribution of the retained profit in the company. Interested in this Liquidation Testimonial? Want to find out more? A Members’ Voluntary Liquidation (MVL) is one of the formal processes used by Insolvency Practitioners. It is a procedure that is used to close a company if the company is solvent. That is if there are sufficient company assets which can be sold or realised to pay off all the debts of the company. To enable the shareholders to realise their financial interest in the company when they do not have succession plans or cannot agree on how to continue in business together. Each solvent liquidation is different and brings its own challenges. The decision as to whether to use the MVL process or not can be a very fine one. This is because the costs involved and the interest on creditor balances need to be taken into account in the calculation. Ultimately, the decision will be based on the financial information contained within the Declaration of Solvency, which we assist the director(s) to prepare. This is carefully discussed with the directors in advance of a final decision being made. If there is over £25,000 to be distributed, then the company must be liquidated. The distribution from the liquidation to the shareholders may be treated as capital rather than income. Provided the shareholders qualify, Entrepreneurs Relief could be claimed and a 10% rate of tax enjoyed. These last two points demonstrate a key point, which is that breadth and depth of knowledge is required to ensure the MVL process is quick, smooth and technically proficient.